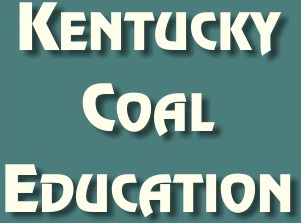 "Kentucky Coal and Energy Education Project"
The majority of the funding for the Coal Education Web Site is provided by the Kentucky Foundation. It is dedicated to the men and women in the coal industry who provide heat, light, and power to our nation. Their efforts sustain our world every day. In an effort to educate the public, the contents of this page are directed to students, teachers, employees of the coal industry, and the general public to expand their knowledge of coal and the coal industry. The Coal Education Web Site is a dynamic, growing portrait of one of America's most essential industries. Its purpose is to present factual, useful information about coal in a fun and productive way. Coal Education gets a new look with updated content. New information added under History section. Some areas are still being updated so check back often.